The must-have travel accessory comes with cool features, like an adjustable front light, that you won't want to miss out on — especially at this price. Amazon’s newest e-reader is about to give all its other Kindles a run for their money. The newest release, simply named Kindle, is the retail giant’s most affordable e-reader yet at just $90 — and the first to feature a front light at an under-$100 price point. Yes, that means you’ll be able to use it day or night, and in soft-lit settings, like an airplane. The display light is also adjustable, so you can make it as bright or dim as you’d like. 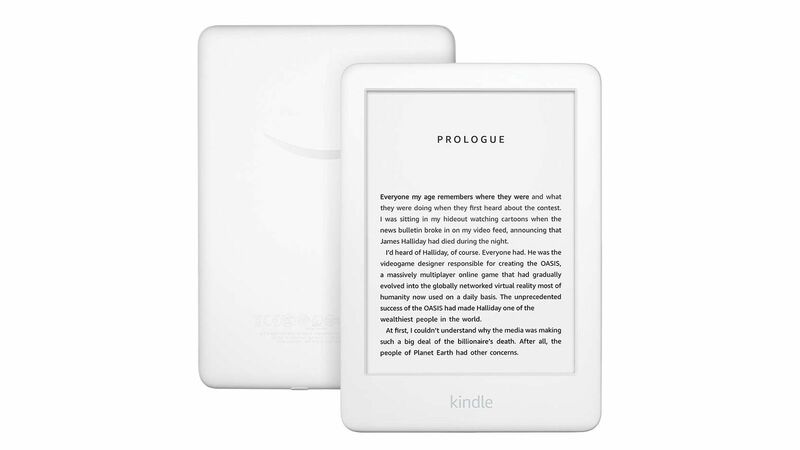 Like its predecessor, the Kindle Paperwhite (amazon.com, $130), the new device is lightweight, has long-lasting battery, and features a slightly updated version of the classic six-inch, glare-free, electronic ink touchscreen display that reads like real paper. The front-light display addition comes after Amazon received tons of positive feedback from customers enjoying it on other devices. “The team worked hard to bring this customer-favorite feature to our most affordable device,” said vice president of Amazon Devices Kevin Keith. And the Kindle comes with more than just a new display light — Amazon is also rolling out new reading features across all its e-readers. When you finish a book, it will now automatically be marked as read in your library and synced across your other reading devices. New organizing filters will be added so you can easily see which books you have and haven’t read. You can store thousands of titles on the new Kindle, which has 4 GB of storage, plus enjoy a free three-month trial of Kindle Unlimited, which gives users unlimited access to millions of books, magazines, and audiobooks. After your trial, the subscription costs $10 a month. The Kindle is currently available for pre-order, and it will start shipping out on April 10.